It is the anniversary of my Masters ordination on the 21st January. Here are some photographs to commemorate that event forty two years ago. The photographs were taken while I was staying at Cheng Hoon Teng, Malaysia in May/June of last year. It had been Rev. Seck Kim Sengs wish that there be a library established and recently one was opened next door to the main temple. It is named The Seck Kim Seng Memorial Library. While staying at the temple I would visit and chat with the librarian. Slowly, as I showed more and more interest and enthusiasm, he started to bring out more and more historic items which he thought I would be interesting in seeing. The first and third photographs were taken during one of these temple treasure explorations. I was so fortunate to have been shown so much. This is not the half of it. Seck Kim Seng as a young monk. 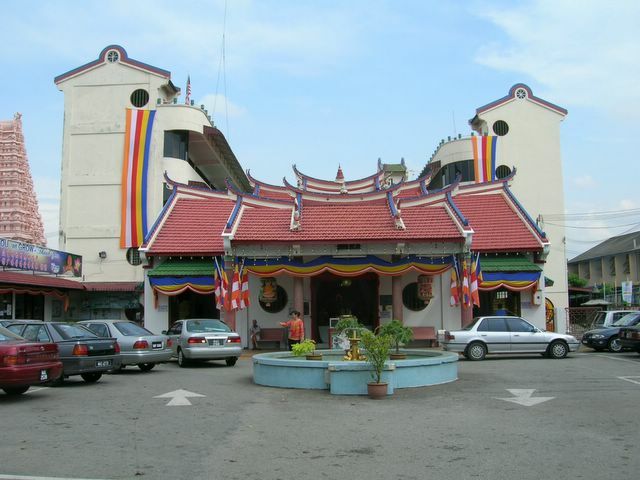 The temple in Malacca, Malaysia where Rev. 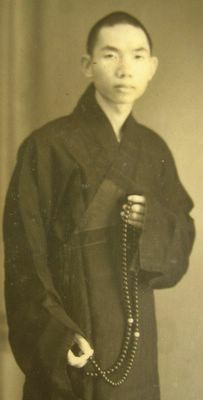 Master Jiyu-Kennett was ordained on the 21st January, 1962 by the Very Reverend Seck Kim Seng. Note the Buddhist flags and the Indian style stupa to the left side of the photograph. 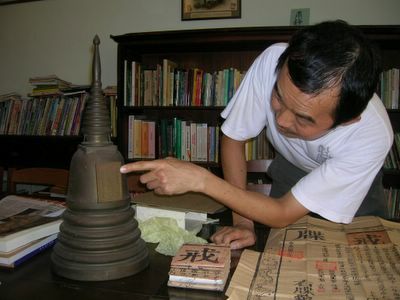 The librarian and archivist at Cheng Hoon Teng Malacca pointing out the name of Seck Kim Seng on the stupa that once held his cremated remains. In the foreground are (I think) Kim Seng’s ordination certificates. The major part of the remains are now permanently enshrined at the temple across the road. On the day I visited I didn’t take my camera. I note that Rev. Master Jiyu stayed in Malacca until April of 1962 before going on to train at Dai Hon Zan Sojiji in Yokohama, Japan with the Abbot the Very Reverend Keido Chisan Koho Zenji. You can read about her life while practicing in Japan in The Wild, White Goose, the Diary of a Female Zen Priest. I see that the book is dedicated “To all women seeking Spiritual Truth and especially to those who have ever entered into Zen training”. Thank you Rev. Master, you will never be forgotten. Thank you for reminding us of Rev Master Jiyu’s ordination. I was born in the UK on the very same day as she was ordained – 21.1.62. To me this feels significant, given the way that her teachings and the followers of her teachings have touched my life so profoundly for the last 17 years. Rev. Master Jiyu continues to be an inspiration to me. I’m remembering her today with love and gratitude. Thanks to Kathleen and Diane and the others who sent me notes via email.